146. 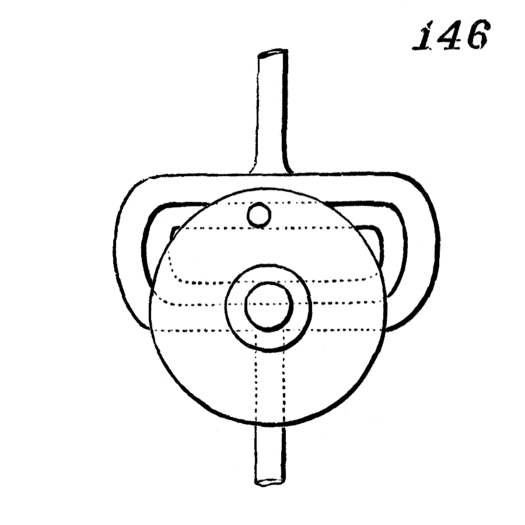 Continuous rotary motion of the disk produces reciprocating rectilinear motion of the yoke-bar, by means of the wrist or crank-pin on the disk working in the groove of the yoke. The groove may be so shaped as to obtain a uniform reciprocating rectilinear motion.